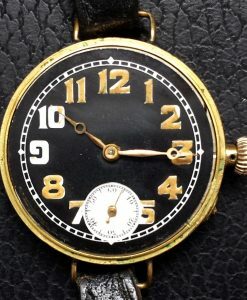 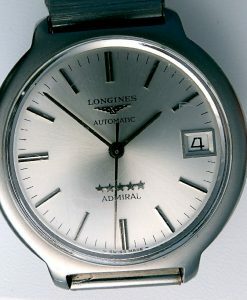 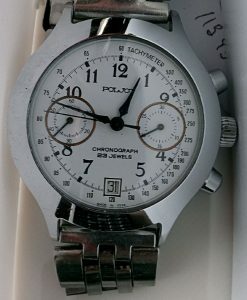 SKU: 16 D. Categories: Mens Watches Sold, SOLD ARCHIVE. 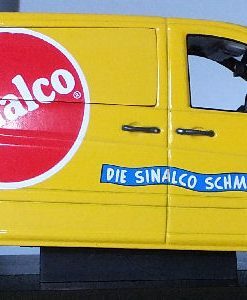 Tag: gold. 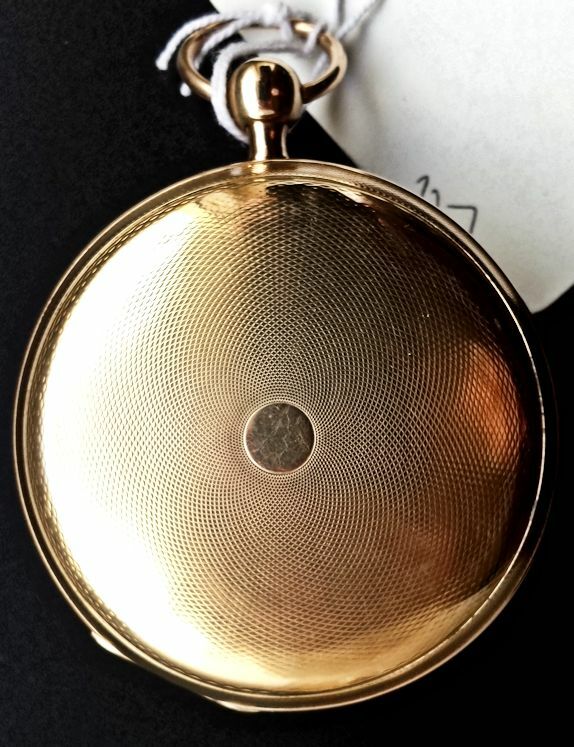 This is a Large 18ct GOLD, 15Min REPEATER POCKET Watch of Swiss Manufacture, dating to 1795c and which is in superb condition. 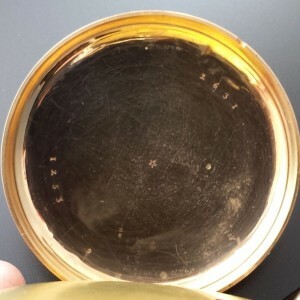 The case tests as 18ct Gold and is stamped with a Floral Trade or Assay Mark. 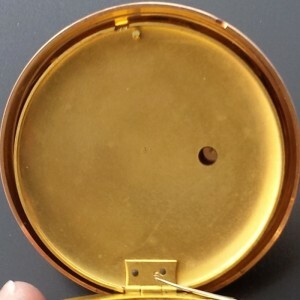 The plate layout and case opening spring set-up, would point to a Swiss Maker. 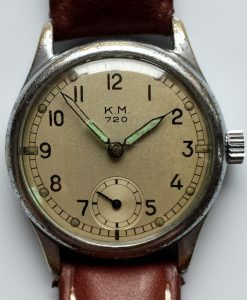 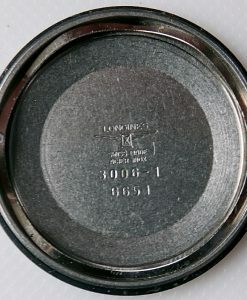 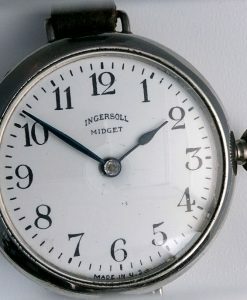 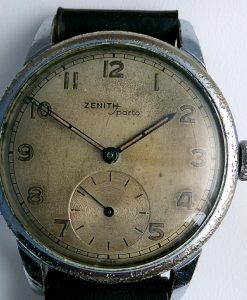 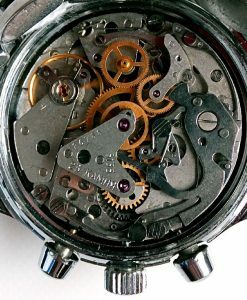 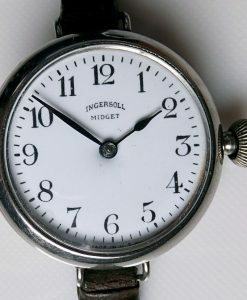 The case serial number is 1253 / 2631 and the watch has a total weight of 117grams. 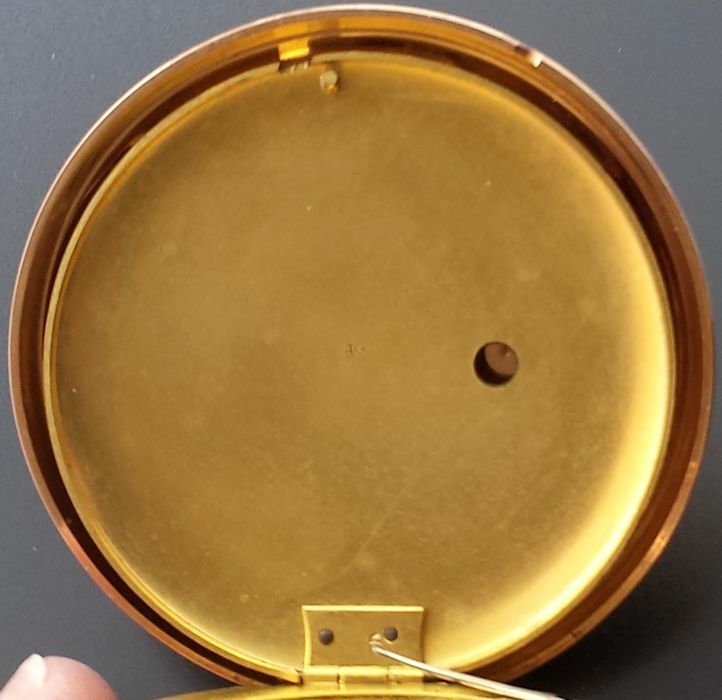 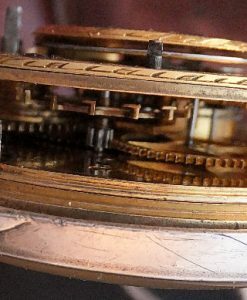 The cuvette flies open, when you press the spring in the slot at 1.00, which activates the flexi spring at 6. 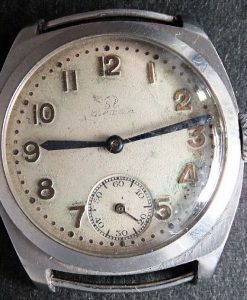 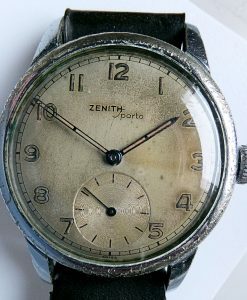 Condition: Excellent Silvered Dial with crisp Numerals, an engine turned centre dial with sun burst effect and machined chapter rings. 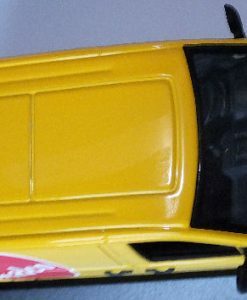 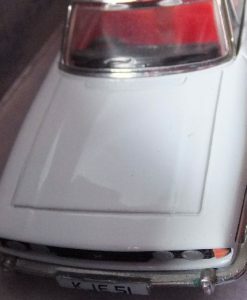 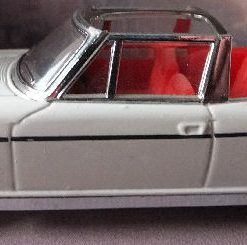 It also has beautiful engine turned decoration on the outer edge. 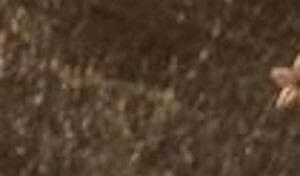 Floral Trade Mark or Assay Mark in centre of back cover. 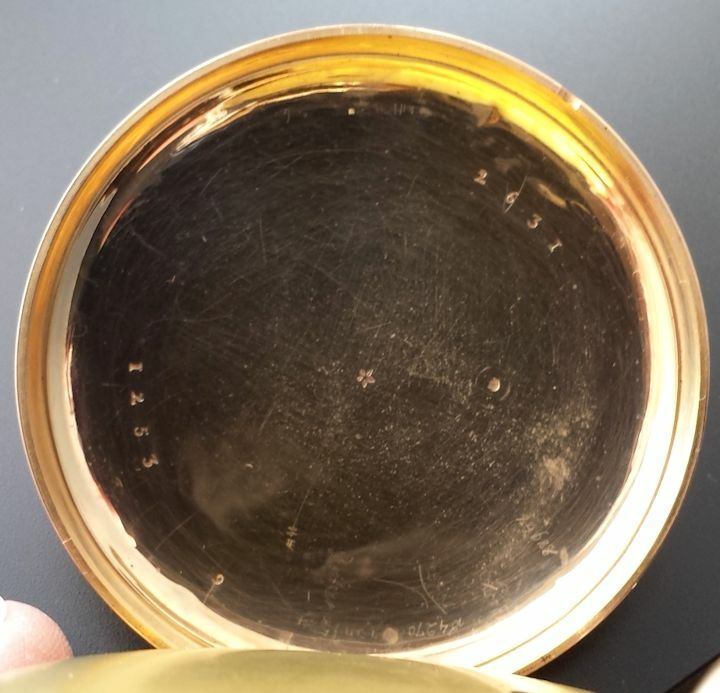 There was no legal requirement to Stamp metals in Switzerland at this time. 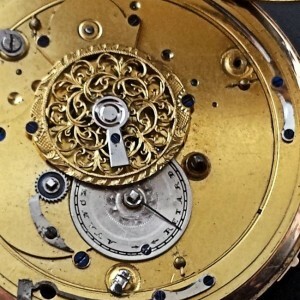 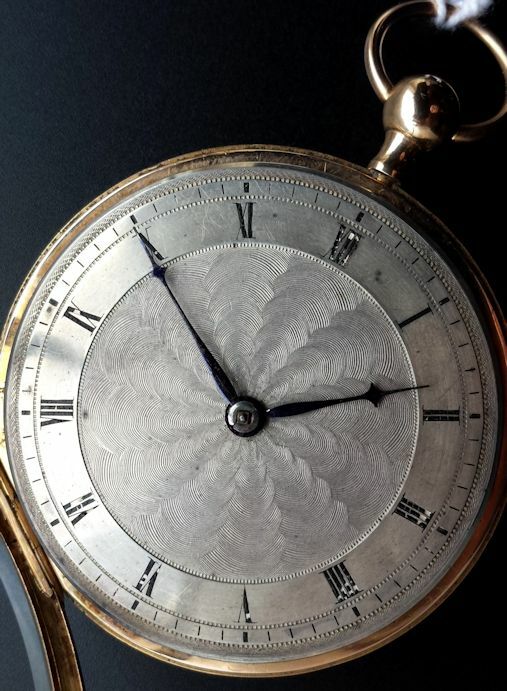 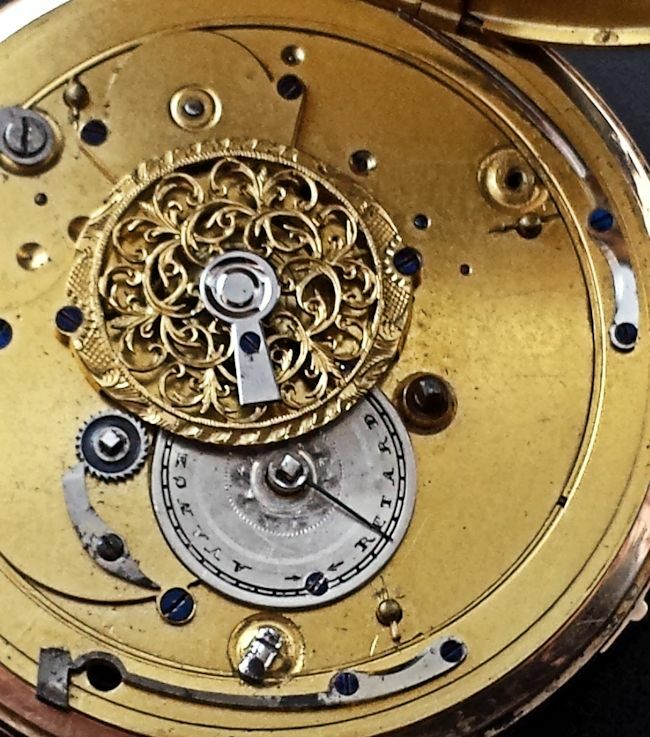 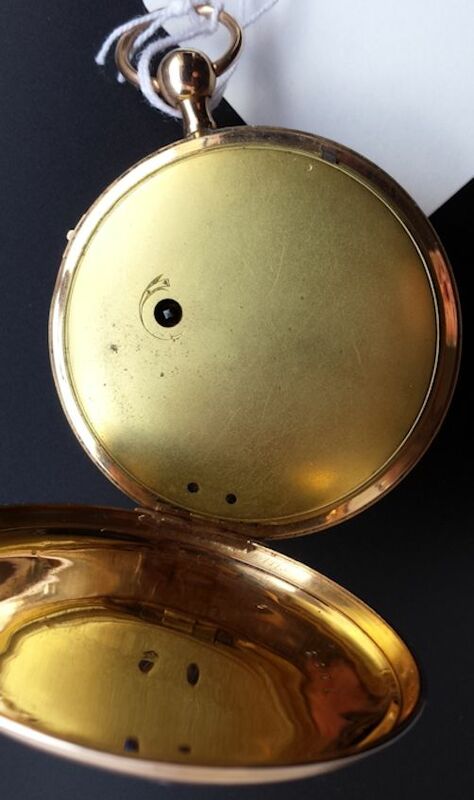 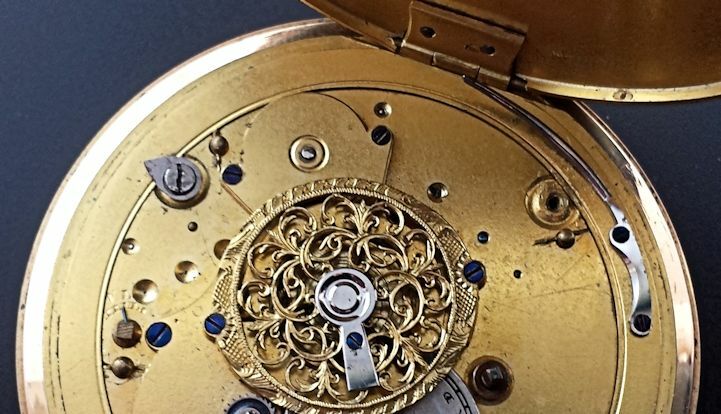 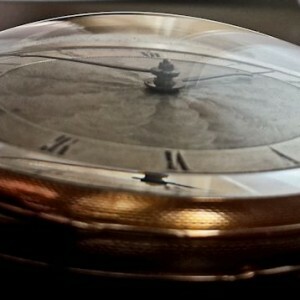 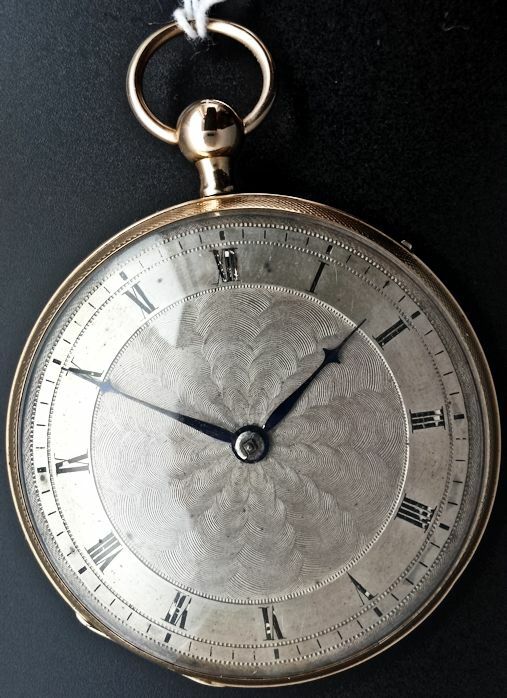 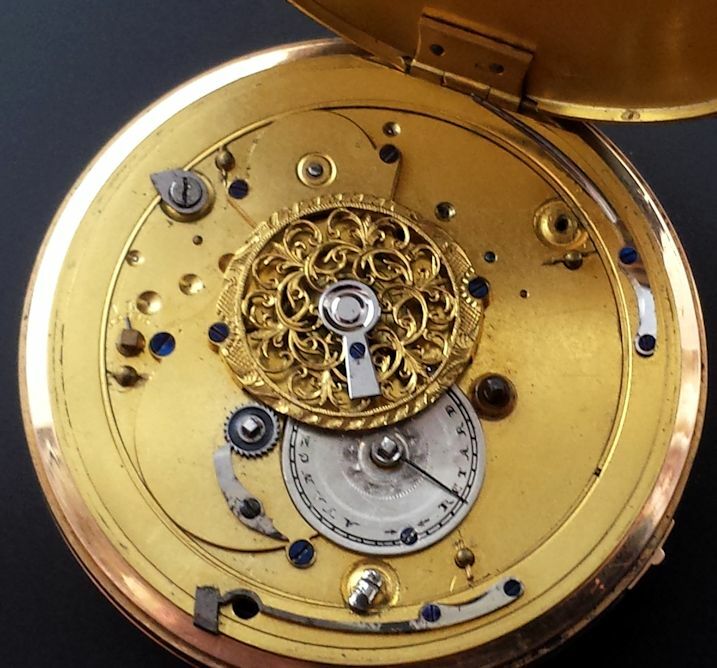 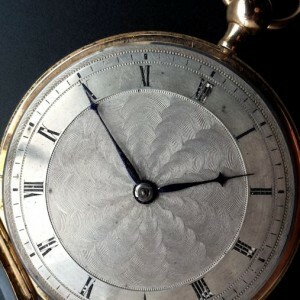 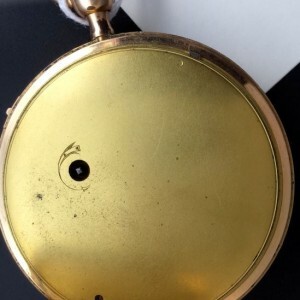 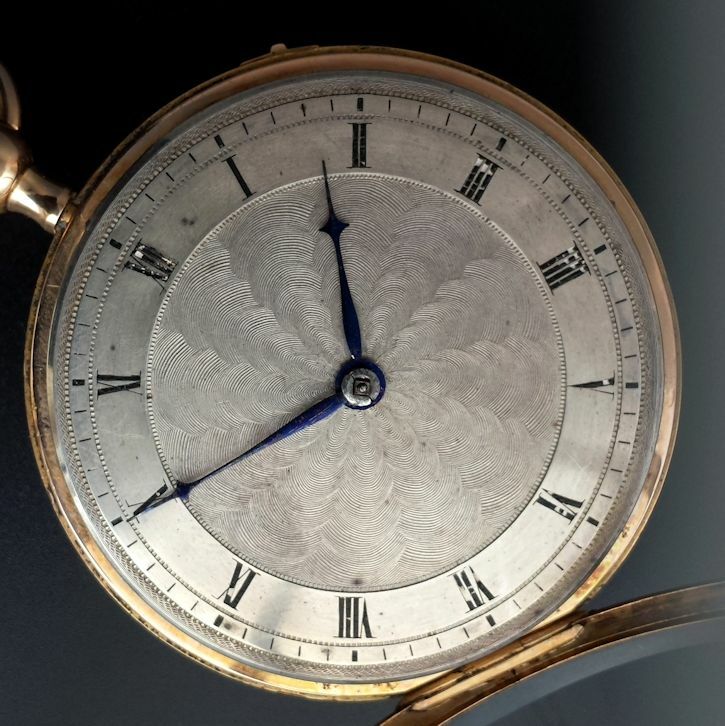 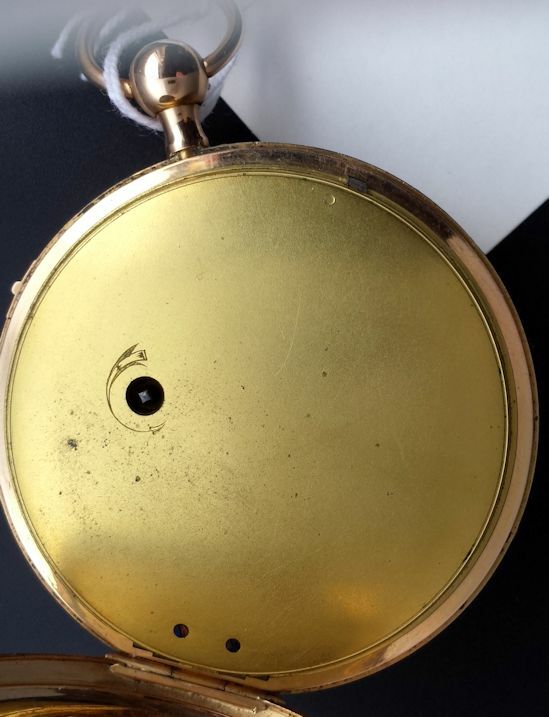 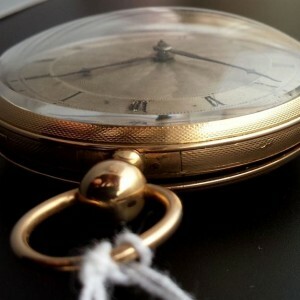 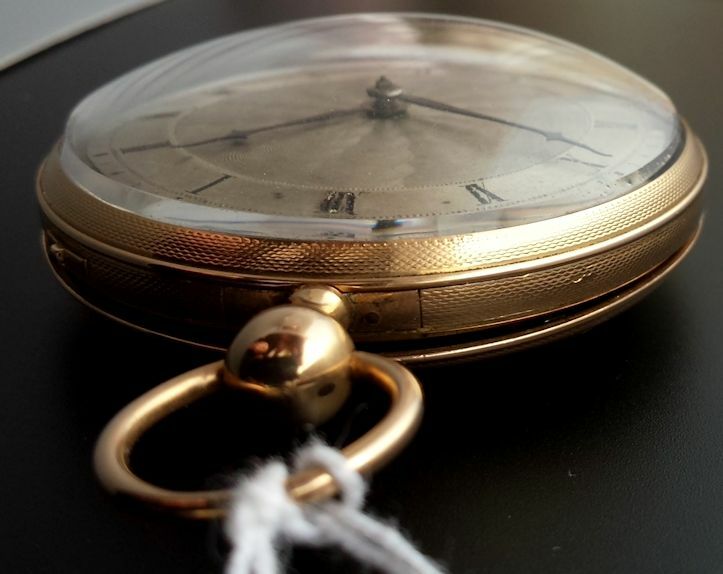 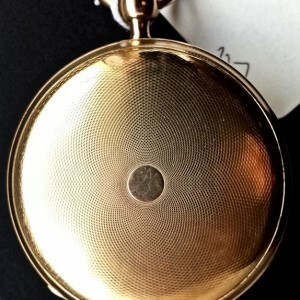 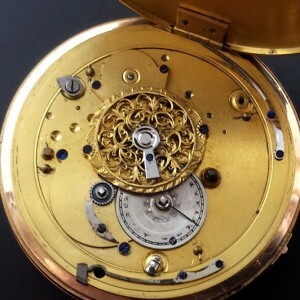 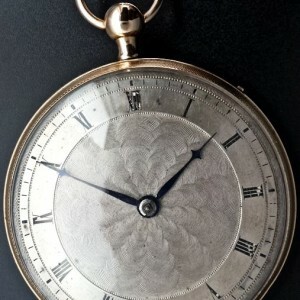 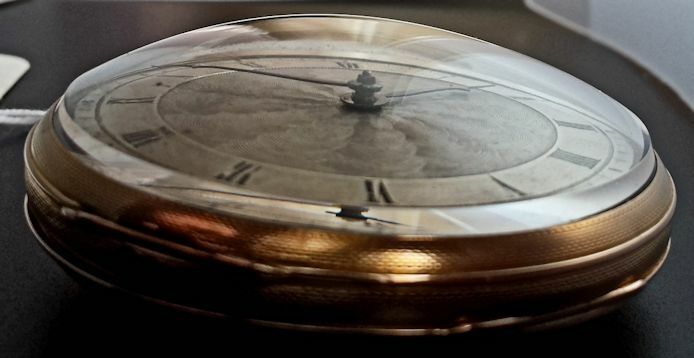 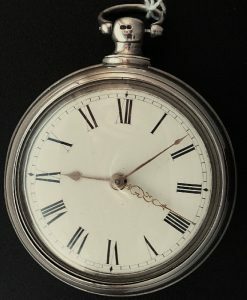 A very Rare high quality 18th Century Repeating Pocket Watch to add to your collection.